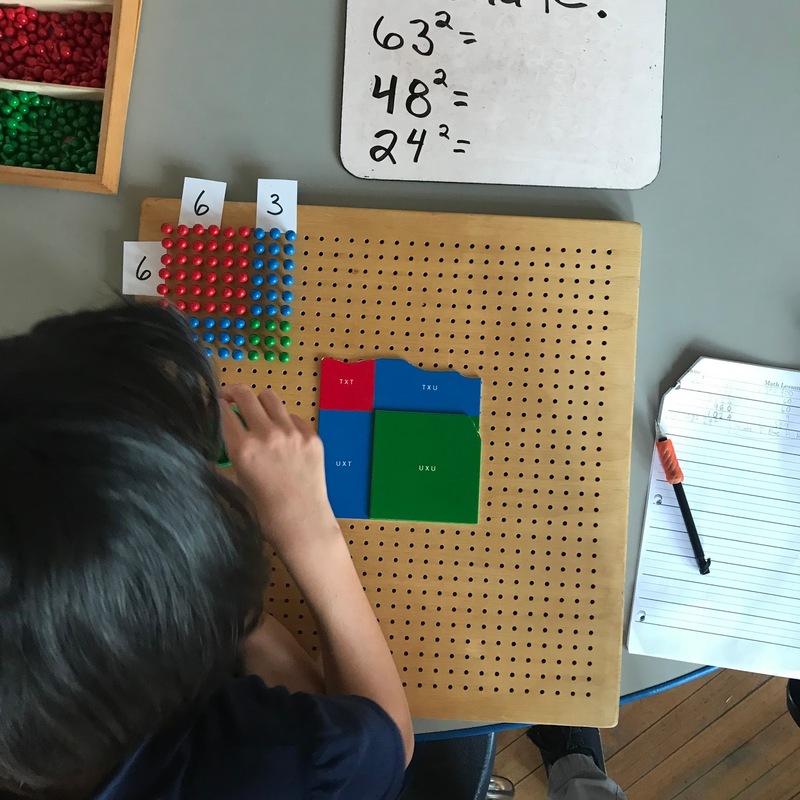 The peg board is a material that can be used to show how to square numbers. Each of the colored beads represents a specific place value. You can find the answer by adding together the value of each of the parts of the square.